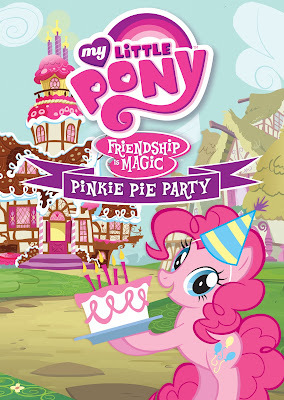 My Little Pony: Friendship Is Magic: Pinkie Pie Party is now out (in the states for now) from Shout! Factory Kids in collaboration with Hasbro Studios! 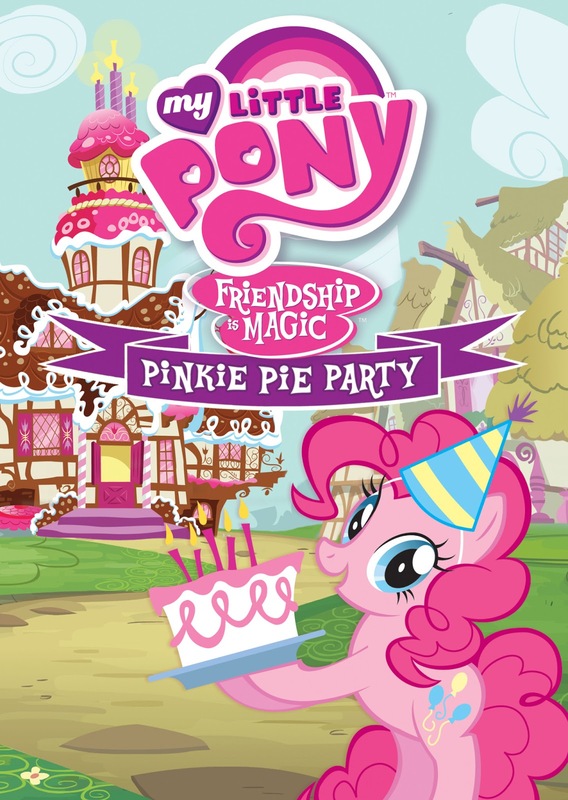 Pinkie Pie Party is priced at $14.97 and is available exclusively at Walmart. Come join the fun! It’s the biggest collection of parties in Ponyville and you’re invited! Get your Pinkie Pie party outfit ready to enjoy five outrageously awesome parties with every pony’s favorite friends — Twilight Sparkle, Apple Jack, Fluttershy, Rainbow Dash, Rarity, Spike and the ultimate party planner herself, Pinkie Pie! I have a huge fan of My Little Pony in this house. My daughter has always loved them, but these last couple of months I've had my niece come over in the mornings before school starts so they can all catch the bus together and the girls have been playing My Little Pony while watching the DVD. It's so cute to hear them as they make their own stories up. When the latest installment of the Friendship Is Magic Series: Pinkie Pie Party arrived at our house, both girls were so excited. They wanted to watch the entire DVD. So we did installments since they still had school. They watched an episode a day. They absolutely loved it and were singing, "Go Gummy, It's Your Birthday," as they walked outside to the bus stop. This DVD comes with five episodes with bonus features that includes sing-a-longs which my daughter loves (she's big on singing) and came with a party activity kit as well that we can download and print out from our computer. I know we'll have to print that out soon. Pinkie Pie Party has already come out in the States, so if you have a little girl who loves My Little Pony, this is definitely something that should be added to their collection. It's filled with tons of laughter, music and always has a moral of the story on how to be a good friend. For us that live in Canada, this DVD will be available to purchase at Walmart April 16th. Check out the video below, this is one of the girls favorite scene! Disclosure: All opinions are my own. I received Pinkie Pie Party on DVD at no cost for the purpose of sharing this review. No other compensation was received.